There is major corruption in our country. There is no denying that. But luckily we do have people who believe it has to stop and are willing to stand up against the injustice. And with recent evidence thanks to Project Veritas’ videos we are seeing that this is more true than ever. These videos contain evidence that the Clinton campaign and its associates have been hiring people to protest at Trump rallies, incite violence and other illegal acts. It gives light to the depth of corruption within the Democratic party. Fox news had both Judge Jeanine Pirro and Geraldo Rivera on the show today to discuss the repercussions of this evidence. Geraldo Rivera was adamant that there was no legal action to be taken. But Judge Jeanine Pirro felt differently. And in fact, she was completely feisty as she promised that there absolutely needed to be a response to the corruption. She promised, “I could indict them in three seconds.” When Geraldo Rivera tried to shut her down, she shot right back. She is not a woman to be bullied into submission. 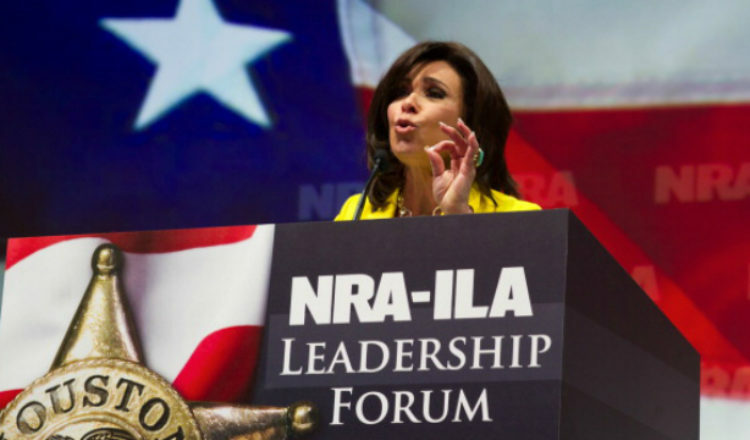 Judge Jeanine Pirro made it clear that this is no longer an issue of politics. This can’t be treated as a left wing versus right wing debate. The facts are obvious. This is about legality and crime. The law was broken. Violence can not be a means of submission. And that is exactly what they are promising in the videos recently created. This isn’t about politics. She is right. This is about being held responsible for breaking the law. And they are most certainly guilty. The campaign has been underhanded from the beginning. And for many voters, the damage has already been done by the Democratic party. Anyone else here hope they will be held responsible? I do.